See also Anti-Infectives. Action/Kinetics: Related chemically to cephalosporins. Acts by inhibiting cell wall synthesis. Stable in the presence of certain bacterial beta-lactamases. Average peak plasma levels: 8 mcg/mL following a single 200-mg dose in a fasting subject after 90 min and 14 mcg/mL following a single 400-mg dose in a fasting subject after 90 min. Following doses of 7.5 mg/kg and 15 mg/kg of the oral suspension to children, average peak plasma levels were 13 and 19 mcg/mL, respectively, within 40—60 min. Elimination tVi: 1 hr (increased to 5.6 hr in clients with a CCR from 10 to 50 mL/min/1.73 m2 and to 32 hr in clients with a CCR of less than 10 mL/min/1.73 m2). Not metabolized in humans. Uses: Secondary bacterial infections of acute bronchitis caused by Streptococcus pneumoniae, Haemophilus influenzae, or Moraxella catarrhalis (including beta-lactamase-producing strains of both organisms). Acute bacterial exacerbations of chronic bronchitis caused by S. pneumoniae, H. influenzae, or M. catarrhalis (including beta-lactamase-producing strains of both organisms). Pneumonia caused by S. pneumoniae or H. in-fluenzae (only non-beta-lactamase-producing strains). 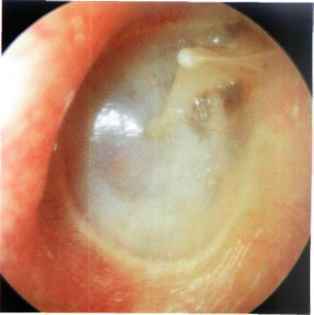 Otitis media caused by S. pneumoniae, Streptococcus pyogenes, H. influenzae, or M. catarrhalis (including beta-lacta-mase-producing strains of both organisms). Acute maxillary sinusitis caused by S. pneumoniae, H. in-fluenzae (only non-beta-lactamase-producing strains), or M. catarrhalis (including beta-lactamase-producing strains). Pharyngitis and tonsillitis caused by S. pyogenes. Uncomplicated skin and skin structure infections caused by Staphylococcus aureus (including penicillinase-producing strains) or S. pyogenes. Uncomplicated UTIs caused by Escherichia coli or Staphylococcus saprophyticus. Uncomplicated pyelonephritis caused by E. coli. Contraindications: Hypersensitiv-ity to loracarbef or cephalosporin-class antibiotics. Special Concerns: Use during labor and delivery only if clearly needed. Pseudomembranous colitis is possible with most antibacterial agents. Use with caution and at reduced dosage in clients with impaired renal function, in those with a history of colitis, in clients receiving concurrent treatment with potent diuretics, during lactation, and in clients with known penicillin allergies. Safety and efficacy in children less than 6 months of age have not been determined. Side Effects: The incidence of certain side effects is different in the pediat-ric population compared with the adult population. Oral: Candidiasis, glossitits. GI: Diarrhea, N&V, abdominal pain, anorexia, pseudomembranous colitis. Hypersensitiv-ity: Skin rashes, urticaria, pruritus, erythema multiforme. CNS: Headache, somnolence, nervousness, insomnia, dizziness. Hematologic: Transient thrombocytopenia, leukope-nia, eosinophilia. Miscellaneous: Va-sodilation, vaginitis, vaginal monilia-sis, rhinitis.